Use this coupon code to save 15% off Christmas gift baskets. Enjoy up to 65% off a wide selection of gift baskets. Shop online and enjoy free delivery across Canada. 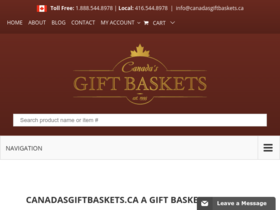 Check out Canada's Gift Baskets online for their latest special offers. Buy more, save more with up 35% off volume discounts from Canada's Gift Baskets.